Decay inside your tooth can cause dental cavities. White dental fillings provide you a tooth coloured solution for repairing and restoring the damage caused by decay. White fillings look natural in your mouth. The materials used are designed to match your surrounding teeth. 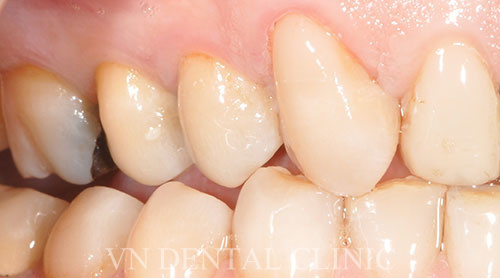 Your tooth function is restored as the filling protects your tooth from further damage caused by decay. You will be able to chew and smile confidently following treatment with white dental fillings. Contact VN Dental Clinic about white dental fillings for treating your cavities, tooth damage, or replacing your current metal fillings. 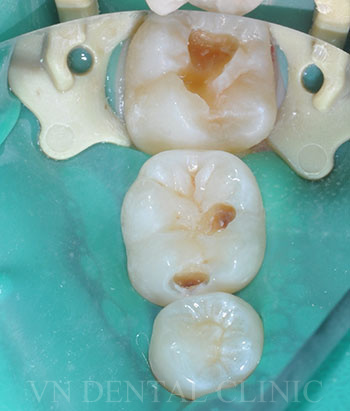 Old fillings can leak and chip, allowing bacteria to enter the tooth and cause decay. 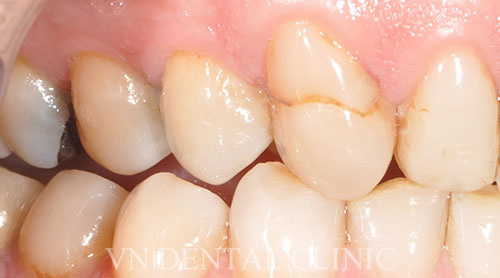 A new tooth coloured filling, if done carefully and conservatively, can achieve a good seal and an excellent cosmetic outcome. Soft teeth are more susceptible to tooth decay and sensitivity. This young man had several soft and broken down teeth which affected his appearance, self confidence and ability to enjoy food. Eight white fillings were placed in the top teeth as a quick and affordable solution while he is saving up for porcelain veneers. Tooth decay creates unhealthy and noticeable cavities in your teeth. 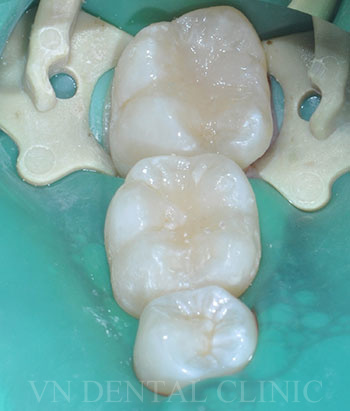 White fillings are versatile for treating your top or bottom teeth with a natural looking material. 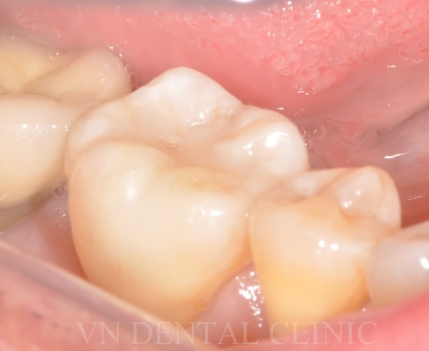 Old dental fillings can leak and change color. A new filling can replace your old, worn, and unattractive fillings in under 30 minutes.